The Office of LGBT Life is basking in the quiet of finals time here at Emory. With the Spring semester closing and the ’17-’18 academic year in the rearview, we are inhaling and preparing for the deep breath of reflection afforded to us in the (relatively) calm summer. As we reflect, we are reminded of the busy spring 2018 full of programs and events. 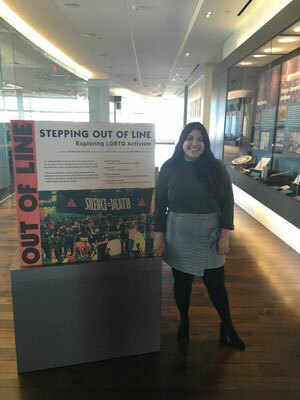 In February, the office staff – along with the Center for Women (CWE) and the Office for Racial and Cultural Engagement (RACE) staffs – hosted International Coffee Hour, connecting with dozens of international students. 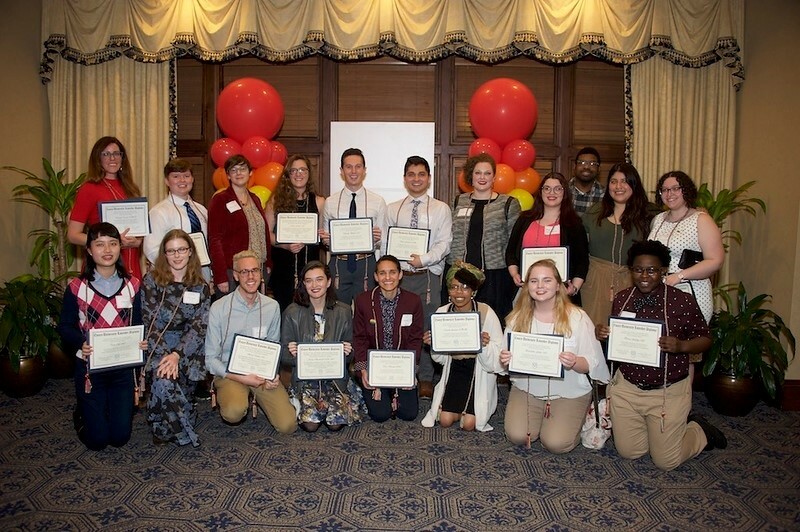 Just a few weeks later, we hosted the Annual Pride Awards, celebrating the accomplishments of graduating LGBTQ students and active community members. 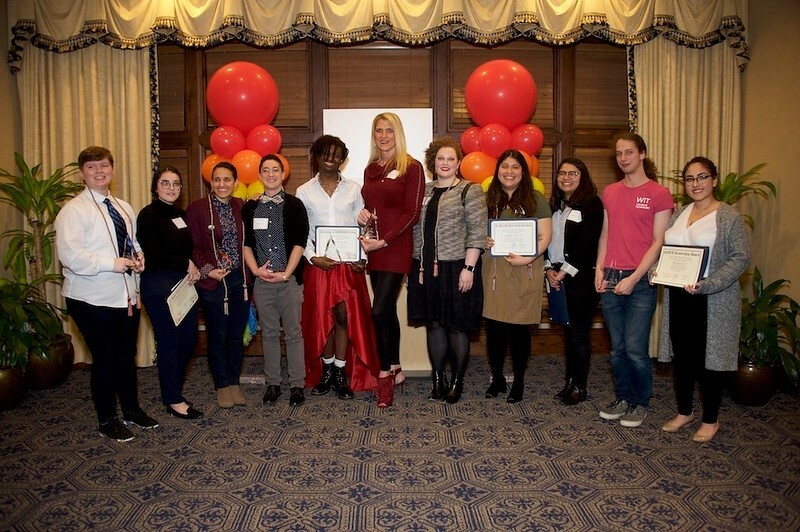 Complete with remarks from Emory University’s President Claire Sterk, the Pride Awards was a huge success. Later in March, the office supported OUTLaw, the LGBTQ affinity group in the Emory Law School, at their Out in Law networking event – connecting students to LGBT attorneys and alumni. Danielle Bruce-Steele, our director and that of ELLS (Emory LGBTQ Legal Services), shared remarks at the ELLS Launch Party at the end of March. A partnership with Emory Campus Life and the Emory Law School, ELLS will offer pro-bono legal assistance to LGBTQ folks in the Atlanta area! Learn more about ELLS here. Like it is for many others in student affairs, April was a whirlwind of a month. The office, CWE, and RACE hosted a Queer Trans People of Color (QTPOC) Brunch, fostering a sense of community and identifying the needs of QTPOC folks at Emory. To close out this year’s Queer Discussion Group (QDG) experience, we held an end of year gathering a few weeks later, inviting all members and facilitators of the 10 QDGs to enjoy food and fellowship. 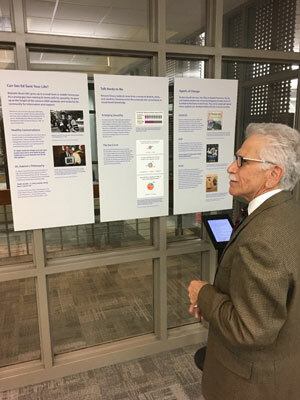 Culminating a semester of curation, collaboration, and persistence, we celebrated the opening of Stepping Out of Line: Exploring LGBTQ Activism at Emory. This exhibit was co-curated by our student staff member, Jackie Veliz 18C, and other members of the Rose Library. We hosted an end of the year reception and guided curator tour complete with alumni, staff, and students. 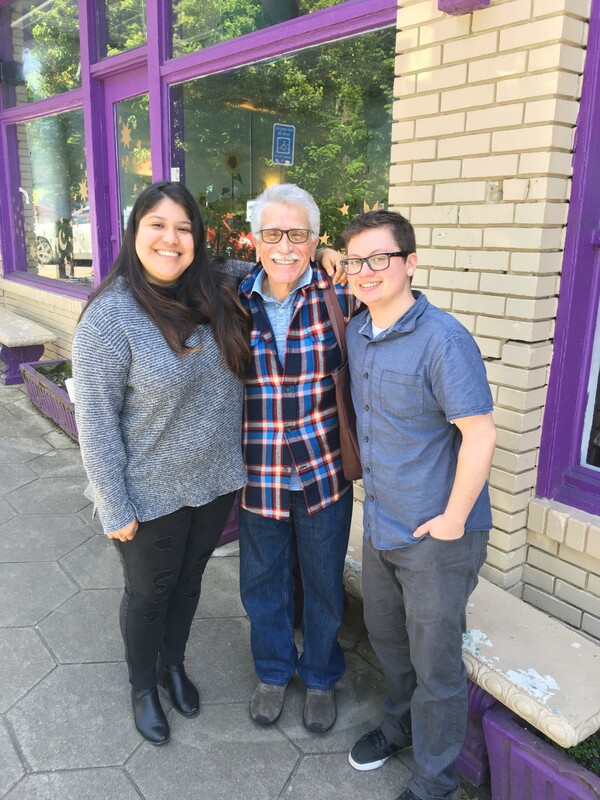 To close out April, winners of the Dr. Daniel D. Adame Leadership Fund – Jackie Veliz 18C and KJ Lewis 19T – grabbed lunch with Dr. Adame and our coordinator, Natalie Turrin. With support from the fund, award winners traveled to Mexico to engage in research and to Maine to attend a conference on podcast production. The Office of LGBT Life is thrilled about this year’s commencement season! Earlier this semester, Natalie Turrin successfully defended her dissertation, and will graduate with a Doctor of Philosophy in Women’s, Gender, and Sexuality Studies. Congratulations, Natalie! Looking ahead, on June 5th we will host our colleagues from across Georgia who engage in LGBT advocacy work at higher education institutions. We look forward to growing, learning, and connecting as we refocus for the summer and plan for the 2019 academic year! This entry was posted in alumni updates, Campus Life, leadership, news, Office of LGBT Life, Out on Campus. Bookmark the permalink.